HP Reverb is Hewlett-Packard’s second Windows Mixed Reality virtual reality headset. It is distinguished by a much higher screen definition, and increased comfort thanks to a new design. By the end of 2017, HP was launching its first virtual reality headset. 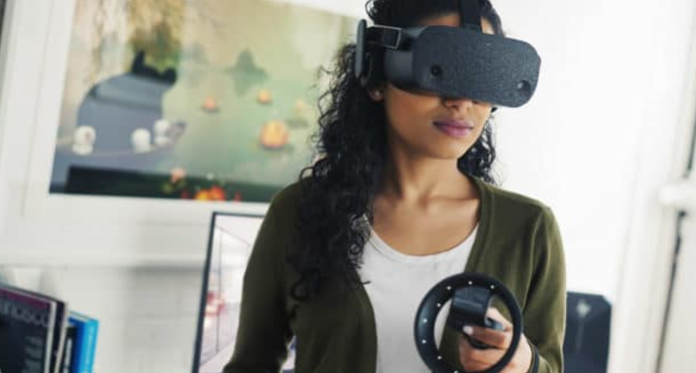 This device is part of the first wave of VR headsets running Microsoft’s Windows Mixed Reality platform, alongside those of Acer, Asus, Lenovo or Samsung. Unfortunately, the Windows Mixed Reality platform has never had the success it deserves. 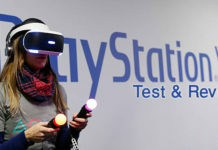 Despite their affordability, compatible headsets did not offer enough convincing experience to compete with the Oculus Rift or HTC Vive. However, HP does not intend to stay on this half-hearted failure. 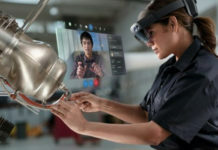 The company today unveils its new HP Reverb headset, initially announced by rumors in February 2019 under the code name HP Copper. This new device will offer a definition of 2160 × 2160 per eye. In comparison, HP’s first headset was satisfied with two LCD screens offering a definition of 1440 × 1440 per eye. The number of pixels is multiplied by 2.25. 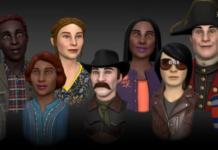 Compared with the Oculus Rift and the HTC Vive and their definition of 1080 × 1200 per eye, the number of pixels is multiplied by 3.6. In addition, the LCD display of this new model uses the entire band of RGB subpixels. The gate effect will therefore be greatly reduced compared to OLED screens of equivalent definition. The HP Reverb will therefore offer the best definition of the entire category of VR headphones with a 100 degree field of view. 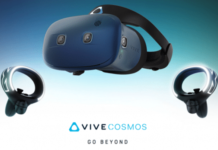 It will be followed by the Samsung Odyssey and the HTC Vive Pro with their definition of 1440 × 1600 per eye. In addition to the definition, HP claims that the main strength of the Reverb is its comfort. 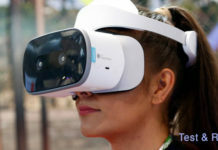 The design is very different from the first HP VR headset, and is more similar to the Oculus Rift with its headband and integrated headphones. Its weight is 500 grams, against 470 grams for the Rift and the Vive. Like all Windows VR headsets, the Reverb ships front cameras for inside-out tracking (without external sensors). These cameras can track the position of the headphones and controllers. 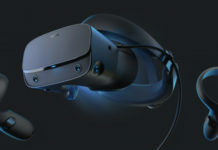 This new headset will also work on the Windows Mixed Reality platform, but it will also be compatible SteamVR via an official plugin. This was also the case for other Windows MR headsets. While it’s available to the general public, HP says the headset is more for business. It is particularly suitable for product development, design and architectural analysis, VR arcades, and maintenance and repair training. HP Reverb will be available end of April 2019, from $600 for the “Consumer Edition” (consumer edition). The “Pro Edition” (pro edition) will be proposed for $650. It is distinguished by a leather mask instead of the fabric mask of the Consumer Edition, and by 0.6 meters of additional cable.